A highly sophisticated computer lab is present to fit in all the students of a class at a time. It aims at making students use the computer both as a productive tool and as a means of creativity and self-expression. The curriculum encompasses technological skills based on themes that are current and meaningful. The program helps children build a solid foundation of fundamental learning skills and prepares them for the fast changing technology of today and the future. We have separate Laboratories for doing Practical regarding Physics chemistry and Biology and is predicated upon developing an understanding of why things happen or why certain results are recorded. This can only been done through the use of a practical, hands-on approach to the subject and the subsequent enquiry and discussion that follows. Students are encouraged to be able to apply their knowledge to new situations in order to illustrate their understanding of a topic. 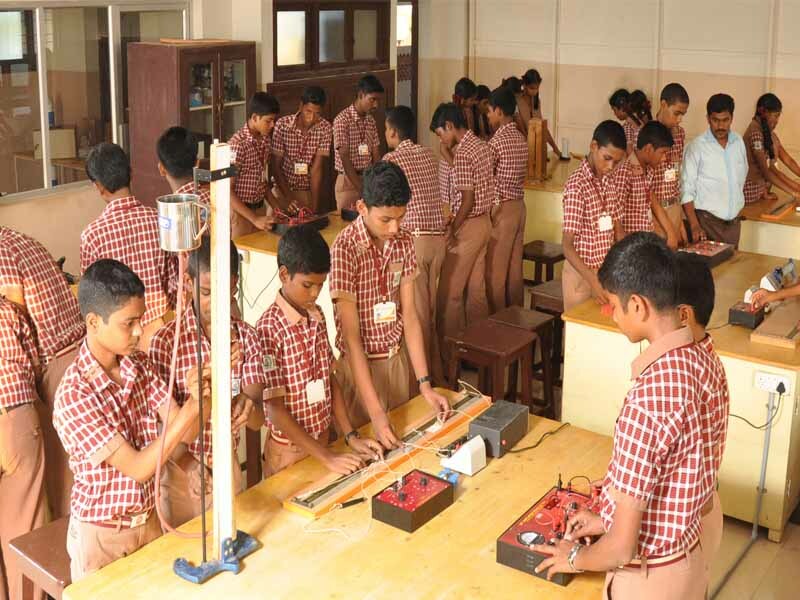 With the use of a modern science lab and an ever developing range of modern equipment, the students are able to experience a wide range of first-hand activities.